Monique Gray Smith has written several books for young people. Her first book, Tilly: A Story of Hope and Resilience, won the 2014 Burt Award for First Nations, Métis and Inuit Literature. Since then, Monique’s books have won awards and become important additions to Canadian classrooms and libraries. I asked her some questions. Margriet: Have you always been a writer or storyteller? Monique: I think I’ve always been a storyteller. I have many memories of telling stories to my Dad and him asking, “Did that really happen or is that one of your stories?” I love stories. I think they are powerful tools to connect us, to educate both our hearts and our minds. Stories have the ability to transport us to another time and place. Stories are gifts. In my mind, they are one of the best kinds of gifts. Stories have always been important in my life. I used to especially love listening to the stories my Auntie Ellen would tell about when she was in nursing school and about her work as a psychiatric nurse. Those stories inspired me so profoundly that I followed in her footsteps and became a psychiatric nurse. Margriet: You have two children. Do they inspire your writing? Do you read books with them? Monique: I have twins, a boy and a girl who are 14. They are instrumental in my writing, both in inspiring me and helping me. I always have them read what I am working on and give me feedback. Actually, I hire them to do this for me because their feedback and ideas are incredibly helpful. We don’t read books together anymore, but when they were younger we spent many hours cuddled up and reading. Now we cuddle up and have conversations about life, politics, school, baseball and cheerleading. Margriet: You have written books for very young children and also for older ones. Which style do you like best and how are they different? Monique: The books for our youngest citizens are inspired through my work. I feel like they are gifts in which I am simply the conduit because they come very fast—in minutes, and very little of the text changes. Writing for older children is not anything I ever imagined doing. When Tilly: A Story of Hope and Resilience won the 2014 Burt Award, opportunities arose for me to write for middle years. I have my children help me. I give them initial drafts and then they give me feedback and I weave in their recommendations. When I’m writing, I don’t often think of the age of the reader, I simply write the story that wants to emerge and hope it touches the heart and mind of the reader. Margriet: Where do you get inspiration for your stories? Monique: From paying attention. I watch and I listen. I learned this from my Mom. One of her favourite things is to people watch. 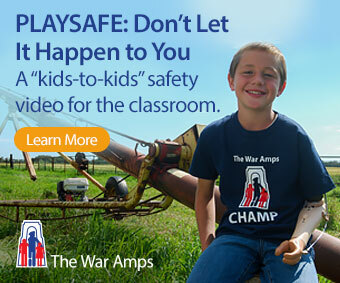 As a child and teenager, I learned to pay attention to what was unfolding around me. This included paying attention to how I felt around certain people and circumstances. I get inspiration from the work I do, from my children and their friends and from Elders. Margriet: What does an ordinary day look like for you? Are you a disciplined writer? Monique: I am not a disciplined writer in the sense that I write every day or for a certain amount of time. However, I feel I am a disciplined writer in that I listen to the messages and my intuition that says, there’s an idea, there’s a story, there’s an image. Then I clear my schedule and I write. 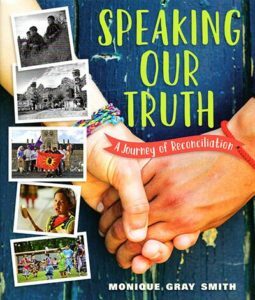 Margriet: What kind of response do you get to your new book Speaking Our Truth, both from inside and outside First Nations? Monique: The response has been beautiful across our country. To be honest, it’s been quite overwhelming! I think there has been such a positive response because there are many voices woven into the book. 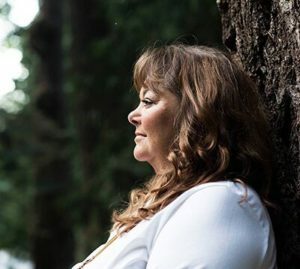 There are stories from survivors, from adult children whose parents went to residential school, from youth, Elders, honorary witnesses to the Truth and Reconciliation Commission (TRC) and one of the TRC commissioners. This allows a diverse readership to see and experience themselves in the pages. As well, the book was written in a way that invites the reader to come along on a journey. While it targets ages 9 to 16, I think it is actually for 9- to 90-year-olds because we have to remember that we have generations of Canadians who don’t know this history and who are wanting to learn. Margriet: One of your picture books is called You Hold Me Up. Who holds you up? Monique: My family. My community. I also have a circle of friends—we meet every two weeks for a full morning. We talk about work, family, life, self-care, goals, etc. Since we started to come together in 2014, my life has changed profoundly. Margriet: Your book My Heart Fills With Happiness won the 2017 Christie Harris Book Award. What fills your heart with happiness? Monique: My family, my culture, writing, public presentations. And Maui! Margriet: What do you do during author visits to schools? Monique: I share Canada’s history, reconciliation and the role each person can have in healing the relationships in our country between Indigenous and Non-Indigenous people. I also do workshops for educators around how to use Speaking Our Truth in the classroom and strategies for weaving history and the social-emotional learning into the class as well. Check out Monique’s books and workshops here: http://moniquegraysmith.com.